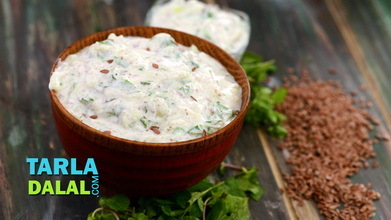 This smashingly tasty Palak Raita will steal your heart with its simple yet rustic flavour. 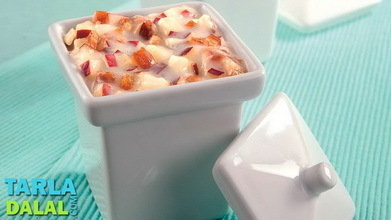 The contrast of dark green against the light colour of curds is a treat to behold too. 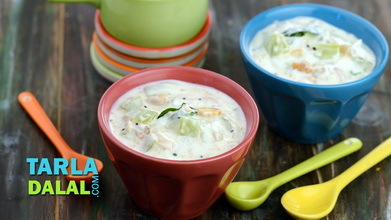 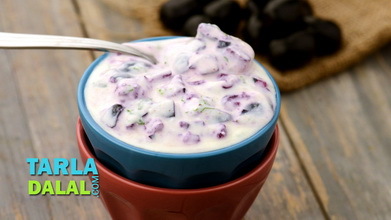 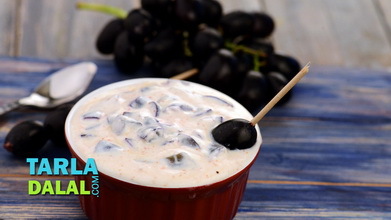 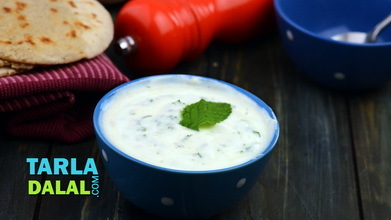 Just ensure that you refrigerate the raita for at least half an hour, and till serving time, so that the palak remains crisp and not limp when served. 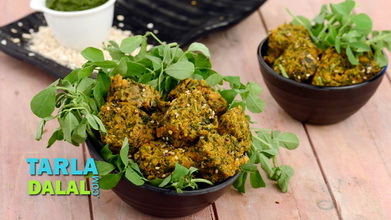 Combine the curds, salt, green chillies, sugar, black pepper powder and blanched spinach and mix well. 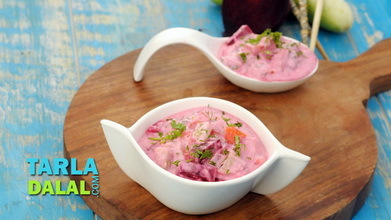 Tarla Dalal Glad you liked the Palak Raita Video.